Is Your Car or Truck Windshield Cracked And In Need of Replacement? Some cracks, even long ones are repairable – but other times it needs to be replaced. It only takes a tiny crack to develop into a crack that stretches across your entire windshield. This poses a safety issue for yourself and other occupants in your vehicle. If the crack is still relatively small then it can be repaired to a state that will be almost as good as new. Using special tools and cured resins the windshield can be repaired for much less than replacement. There are some cases though where the crack or cracks are simply too large, or structurally have weakened the windshield to the point where it must be replaced. 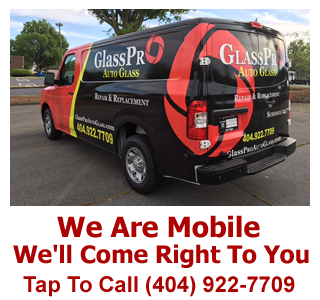 GlassPro is a full service mobile windshield replacement and repair company serving the Atlanta, GA area. We specialize in the replacement and repair of cracked car, truck and commercial vehicle windows. Instead of making an appointment with a traditional glass shop and possibly being without your vehicle for a few hours, we bring our mobile glass repair and replacement shop directly to you. 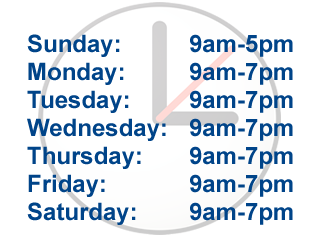 We can come to your place of work, your home or anywhere in the Atlanta area that is convenient for you. 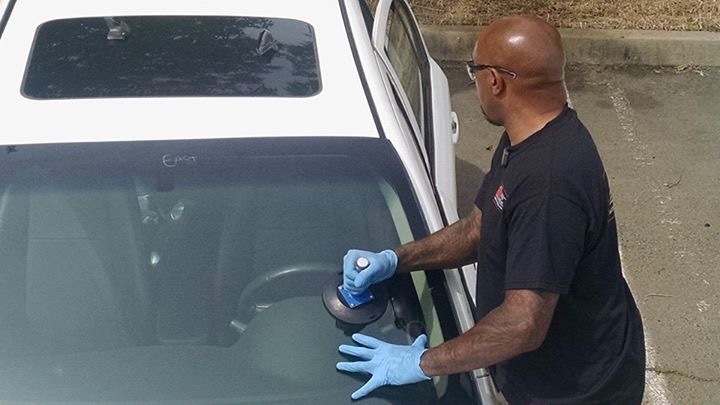 Windshield repairs are NOT completely “invisible”. Windshield repair DOES dramatically improve the appearance of the damage to an almost “invisible” appearance. Windshield repair is meant to seal the damage to the windshield, prevent the damage from spreading any further, fill the damaged area with resin and restore the strength and structural integrity of the windshield back to its original state before the damage occurred. All repairs are done without removing or replacing the windshield and saving the customer a substantial amount of money rather than replacing the windshield.